The Credit Card Accountability Responsibility and Disclosure Act of 2009 (the CARD Act) provides consumers several gift card protections including limits on expiration dates and fees. Money on store-issued and bank-issued gift cards cannot expire before 5 years from the date of purchase or when money was last loaded onto the card. Also, inactivity fees (fees for not using the card) are prohibited unless cards have not been used for 12 months. If you have a gift card with a network logo such as Visa or MasterCard, your gift card is protected by the CARD Act. If you have a store-issued gift card, you have CARD Act protections – but you may have additional gift card protections under state law. Some states – but not all – have adopted rules that give consumers protections above and beyond CARD Act protections. For example, some states prohibit gift cards from ever expiring, which is a stronger protection than the ban on expiration dates sooner than five years found under the CARD Act. The list below summarizes the additional gift card protections offered by state laws. State laws vary, but they can provide further protections such as: longer expiration dates, or no expiration dates; fewer or no fees; more disclosures; and, in a few states, the right to redeem the gift card for cash. This is not an exhaustive listing of all the relevant state laws on gift cards; some states have additional gift card laws that are outside the purposes of this listing, such as when unused money on a gift card becomes the property of the state (this is called “escheat”). Those laws are not included here. Also, Consumers Union does not give legal advice. Please consult the laws of your state for more information. Expiration and fees allowed only if they are made clearly visible to consumer before purchase. Does not cover prepaid telephone cards or promotional or rewards cards. Arkansas: No inactivity fees within the first two years. Any fees after two years must be printed clearly on front or back of card in at least ten point font. Covers gift cards usable at single store or chain. Does not cover prepaid telephone cards, promotional or rewards cards, cards linked to bank accounts, or cards usable with multiple unaffiliated merchants. No fees, with one exception: a monthly fee of $1 or less per month is permitted on gift cards with balances at or below $5 if the gift card is reloadable and has not been used for 24 months. A gift card that will charge this fee must include notice in ten point font. Any card with a cash value of $10 or less may be redeemed for cash at the consumer’s request. Covers gift cards at a single store or chain. Does not cover cards usable with multiple unaffiliated merchants. Any card with cash value of $5 or less may be redeemed for cash. Does not cover prepaid phone cards, promotional cards or cards usable with multiple unaffiliated merchants. Also does not cover paper gift certificates. Does not cover prepaid telephone cards; different rules apply to general use prepaid cards. Does not cover promotional cards, or cards issued by financial institutions and usable at multiple unaffiliated merchants. Expiration and fees allowed only if they are conspicuously printed on the card or have a sticker affixed to the card at the time of purchase. Covers cards that can be used at multiple unaffiliated merchants, gift certificates or store gift cards. Funds on gift cards do not expire unless the card has an expiration date. No service fees, including dormancy fees. Any activation or issuance fees cannot exceed 10% of face value or $5, whichever is less. Does not cover loyalty or rewards cards, prepaid phone cards or other reloadable prepaid cards. Does not include prepaid phone cards or cards usable with multiple merchants. No fees unless there is a written contract. No fees for one year. Does not cover prepaid bank cards. Gift cards without expiration dates good until redeemed or replaced. Does not include prepaid calling cards or cards linked to bank accounts usable with multiple unaffiliated merchants or ATMs. No service fees allowed except for a one-time handling fee of $1. Does not cover general purpose reloadable prepaid cards or loyalty or promotional cards. No fees except for transaction fee for initial issuance or for adding value to existing card which must be disclosed in separate writing before purchase. Gift or rewards cards with a value of $5 or less may be redeemed for cash, but this does not apply to rewards cards issued with an initial value of $5 or less, and it does not apply to promotional cards, prepaid telephone cards or to cards issued for returns without a receipt. No fees for four years. Any terms and conditions must be printed clearly in 10-point font on the card, on a sticker affixed to the card or in an envelope containing the card. Does not cover prepaid internet or telephone service cards, rewards cards, or prepaid bank or credit cards. No expiration dates for seven years. If fees are charged, notice in writing – either on the card or the card packaging – is required. Non-reloadable cards redeemed for 90% of the face value may be redeemed for the remaining cash. All eligible gift cards – reloadable or not – that have $5 or less remaining value may be redeemed for cash. Does not include prepaid calling cards or any electronic cards usable with multiple unaffiliated merchants. No post-sale fees (initial purchase fee allowed). Covers gift cards issued by retailers or service providers; does not include prepaid calling cards or prepaid bank cards usable at multiple unaffiliated retailers or ATMs, healthcare spending cards, payroll cards, or rewards cards. Does not include debit cards linked to a bank account, prepaid calling cards, rewards or loyalty cards, or cards linked to bank accounts usable with multiple unaffiliated merchants. If original value of gift card was more than $5, and remaining value is less than $5, can redeem for cash. Does not cover prepaid telecommunications or technology cards, rewards or loyalty cards or gift cards usable with multiple unaffiliated merchants. Expiration dates and fees are only allowed if a notice of the fee or expiration date appears on front or back of card or in location visible to purchaser at the time of purchase. Does not cover cards usable at multiple unaffiliated merchants. Expiration or fees allowed only if properly disclosed. No fees within first year and no fees that exceed $1 per month. No dormancy fees before 3 continuous years of nonuse. Does not cover prepaid telecommunications or technology cards, or rewards, rebate or loyalty cards. No expiration dates for gift cards of $100 or less; for cards of $100 or more, expiration date when considered abandoned under state law, which is five years. Funds on gift cards purchased on or after December 1, 2012 cannot expire. For cards sold on or after December 1, 2012, no fees allowed except activation or re-load fees, or fees for replacement cards. For cards that were sold before December 1, 2012, no dormancy fees until after at least two years of inactivity. Dormancy fees cannot exceed $2/month. Gift cards with an initial balance of more than $5 that have a balance of less than $5 may be redeemed for cash. This section does not apply to gift cards that can be used at multiple merchants or to cards provided in lieu of a refund for returned merchandise. Does not include rewards cards, telephone or technology cards or prepaid bank cards. No expiration for five years and no expiration unless proper notice given. No fees except for purchasing the card itself. Does not cover prepaid calling cards, rewards cards, bank-issued cards, or general use prepaid cards. Expiration dates and any fees that will be charged along with other terms and conditions must be clearly and conspicuously stated on the card, package, or accompanying printed document. No dormancy fee before 13th month of inactivity. Fees to be conspicuously disclosed on card at time of purchase. No fees for first year. No expiration for six years. Does not cover loyalty or rewards cards, general use prepaid cards, cards that can be used at multiple, unaffiliated merchants or cards linked to bank accounts. No fees for two years. Does not cover rewards or loyalty cards, cards for use at an employer’s businesses or cards given to an employee by an employer as a bonus, prepaid calling cards or cards usable with multiple unaffiliated merchants. No expiration and no fees for five years, with one exception. Permits a $1 per month fee only when the card has a balance of $5 or less, the card has been unused for 24 months, the card is reloadable and the fee is properly disclosed. Does not cover rewards or loyalty cards, or cards issued for a food product. No expiration dates with one exception—if card is sold below face value and does not expire until 30 days after the date of sale and card has printed “expires on” or “expiration date” with the date of expiration. The prohibitions above do not apply to prepaid calling cards, prepaid commercial mobile radio services, or cards usable with multiple merchants. A gift cardholder has the option to redeem the card for cash when the face value of the card has declined to an amount less than $5 and the card has been used for at least one purchase. The cash redemption option is not available for promotional cards, telecom cards, or gift cards redeemed to an online account for the purchase of goods or services. When cards are redeemed and the remaining balance is less than $1, the balance shall be provided in cash. Does not cover rewards or loyalty cards, prepaid wireless telephone service cards, or cards that are useable at multiple unaffiliated merchants. No expiration dates for first year, unless expiration date is on front of card in capitalized letters in 10-point font. No fees unless disclosed on the card, the envelope, as an insert, or on the receipt given to the purchaser of the gift card. 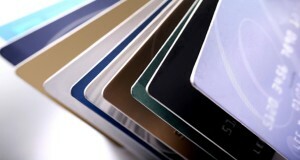 Covers cards sold by businesses for goods or services from those businesses. Expiration or fees and other terms must be clearly and conspicuously disclosed at time of purchase. The expiration date and fees must be legibly printed on the card. No expiration date if not printed or information is not included. No fees if not printed or information is not included. Expiration and fees must be printed in readable manner on instrument, packaging or record. No expiration if expiration date not clearly marked, or otherwise made available on the sales receipt, website or by toll-free phone number. Consumer may redeem unused portion after expiration date if requested. No fees, except a licensed money transmitter, financial institution or credit union may charge a one-time issuance fee of either $10 or 10%, whichever is smaller. If remaining value is below $1, the cardholder may redeem remainder for cash. Different rules for loyalty, rewards and promotional gift cards: fees and expiration dates are permitted provided that proper notice is given to the consumer. Expiration or fees must be clearly and permanently imprinted on card with a telephone number or Internet address to obtain information. No expiration date with an exception. No fees with one exception. Permits a $1 per month fee only when the card has a balance of $5 or less, the card has been unused for 24 months, the card is reloadable, and the inactivity fee is disclosed on card in at least 6-point font. After a dormancy fee is assessed, the remaining value on the gift card is redeemable in cash on demand. Any card with a $5 or less remaining value may be redeemed for cash.